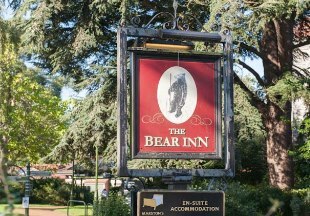 A spacious but cosy country pub with open log fire, coal burning stove, lots of comfy sofas, award winning food and five elegant en-suite rooms. 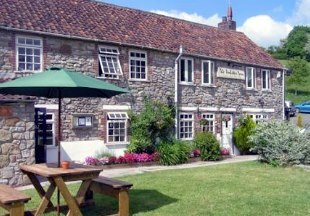 The Oakhill Inn is situated in the pretty village of Oakhill on the A367 between Radstock and Shepton Mallet. This quirky, Grade II listed building has managed to retain many of its original features. 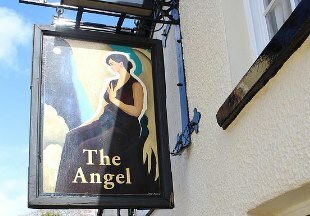 The Archangel epitomises the phrase "gastro pub", serving high quality, locally sourced food. 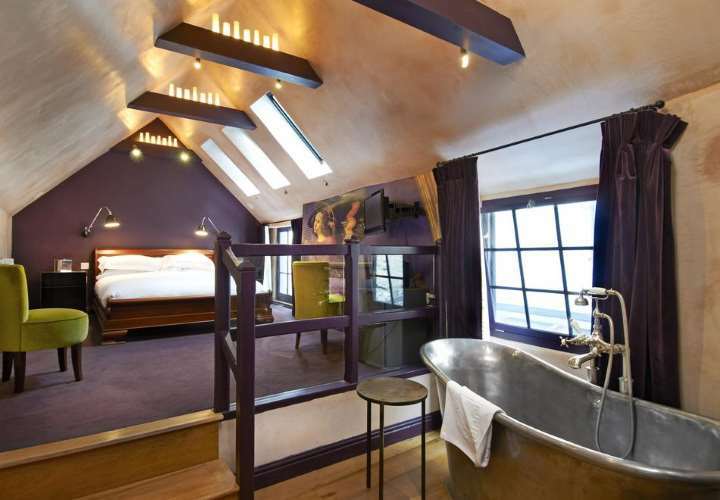 We also have six rooms which have been described as "boutique in style with a touch of chic". Located right in the centre of Bath and originally named Royal Station Hotel, this decidedly Georgian looking hotel was, in fact, built by Isambard Kingdom Brunel, the famous English architect, for the arrival of the railway in Victorian times and the "Royal" prefix was given after Queen Victoria's visit to the City of Bath. 35 en-suite bedrooms are all decorated in a traditional style in keeping with the hotel, while the restaurant has an enviable reputation for excellent food. Only 8 miles from Bath, Bristol and Wells, The Hunters Rest Inn, originally an early 19th century hunting lodge, enjoys a secluded position with delightful views across the Chew Valley to the Mendip Hills beyond. The Inn offers a superb choice of menu and is the ideal venue for family celebrations, weddings and parties. The five luxurious en-suite rooms are individually decorated and furnished to the highest standards, including a four poster suite, stunning bathrooms and magnificent views over the Somerset countryside. 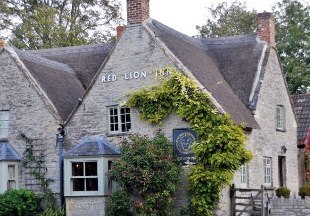 A beautiful thatched country inn, the Red Lion boasts a flag-stoned bar serving bar meals, an award winning restaurant, free Wi-Fi and stylish rooms. We are ideally situated, just five minutes’ drive off the A303 and A37. Yeovil is just 20 minutes’ drive away and we are 25 minutes from Glastonbury. The 18th century Queens Arms is a new style country pub with rooms, beautifully set in the heart of the ancient village of Corton Denham on the Somerset/Dorset border, just three miles from Sherborne. Enjoy a pint of ale and a pork pie by the open fire, tuck into a delicious meal in the dining room or simply rest for a night or two in one of the stylish rooms. There is also an on-site cinema room. This Grade II listed, 17th-century English country inn is steeped in history and intrigue, and is packed with original features and atmosphere. Our Chef has created a stir with his superb mains and exceptional desserts. 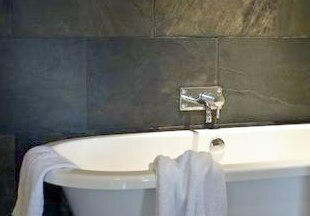 The inn features luxury boutique-style rooms with free standing baths, circular mosaic wet rooms and sandstone basins, all unique in design. Sit in our pleasing garden with superb views across the fields towards Downside Abbey. Pets welcome. With a history dating back to the 15th century, The Angel Inn is an historic village inn surrounded by beautiful Somerset farmland yet only one mile from Bristol. 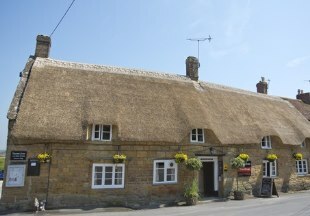 There are five beautifully furnished guest bedrooms and the pub prides itself on good food and great beer. The Angel is also popular with bird lovers due to the swallows who nest in the adjoining barn every year. Pets are welcome in the bar area. Food is a passion at this fine old stone inn. Enjoy the warm ambiance of the log fire, flagstone floors and thick stone walls whilst you enjoy great food prepared from locally sourced Somerset ingredients. The five stylish en-suite guest rooms are situated in an adjacent converted cider barn. AA 4 Star Restaurant with Rooms, AA Rosette for Food. Welcome to the Vobster Inn. 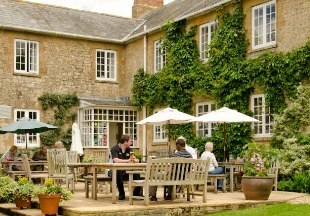 Set within four acres of glorious Somerset countryside, the Vobster Inn features award winning food, being awarded two AA rosettes. Our three superb bedrooms are each individually furnished to a high standard, with free WiFi also available. We are 5 miles from Frome and Radstock. 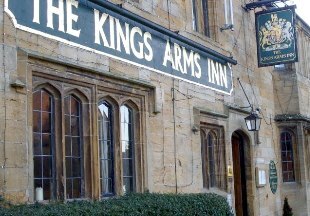 Welcome to the 17th century King's Arms Inn, just a stone's throw from the magnificent National Trust property, Montacute House. Sink into one of the cosy sofas and enjoy a drink by the roaring log fire before resting in one of the newly refurbished en-suite guest bedrooms. 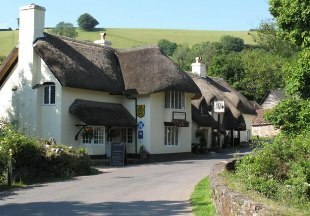 The Masons Arms is a delightful thatched pub in a traditional and peaceful Somerset village. Our en-suite rooms have recently been refurbished to luxury standard. We believe that a pub should always be a pub not a restaurant and we therefore offer a blackboard menu with traditional favourites such as Ham, Egg and Chips and Sausage and Mash alongside a daily changing a la carte menu. We even have our own micro brewery! AA 4 Star Inn. Oozing character and history, this 15th century coaching inn faces the west front of Wells Cathedral, and boasts some bedrooms with original four poster beds. Warming log fires burn in the bar and lounge on cooler days. We're fortunate to have a front garden with both a Cathedral view and a wonderful walled Garden Cafe. The 2 AA Rosette award-winning restaurant here offers a combination of traditional and contemporary cuisine. 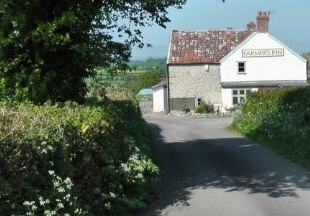 Welcome to the the Farmers Arms, a lovely inn nestled in the pretty Somerset countryside. 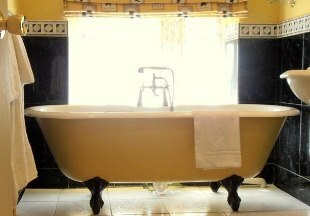 Many of our en-suite rooms boast special little touches, such as roll-top baths, private entrances and comfy king-size beds. 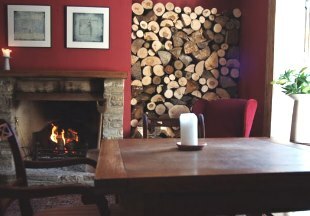 The rustic bar with flagstone floor and open fire serves an wide range of local Somerset ales, and the oak-beamed restaurant offers lunch, dinner and a specials menu including venison, homemade fish cakes and wild mushroom strudel. Pets welcome. Enjoying a superb location in the pretty village of Winsford on Exmoor, the thatched 12th century Royal Oak offers individually styled rooms with free Wi-Fi and iPod docking stations. There is a private drawing room for guests as well as a traditional dining room with exposed beams serving a seasonal menu. The bar also offers a light menu, and stocks real ales and fine whiskies. Most tourists will make a beeline for the World Heritage Site of Bath, famous for its Georgian terraces, Pump Rooms and Roman Baths. But there is much more to see in Somerset, including mystical Glastonbury, historic Forde Abbey, dramatic Exmoor and the seaside resorts of Weston-super-Mare and Minehead. If cider is your tipple of choice, you will want to visit the many cider farms that litter the Somerset countryside. And where better to stay than in a country inn! 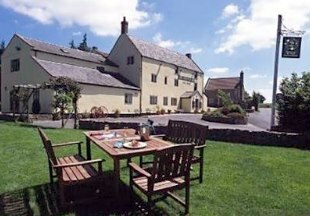 Hotels and inns in Somerset serve local ciders and perrys as well as local real ales, and your friendly host will be able to give directions to the nearest cider producer. 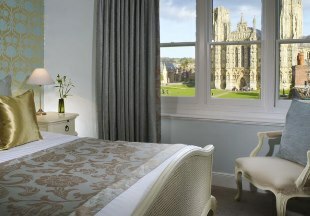 "There are few inns that can boast a setting like that of the Swan Hotel in England's smallest city, Wells. On a fine day, sit out on the garden terrace and soak up the view: this 15th century coaching inn faces the west front of Wells Cathedral! With its four-poster beds, log fires, AA rosette food and THAT view, this inn is hard to beat!" Somerset is bordered by Wiltshire, Dorset and Devon. 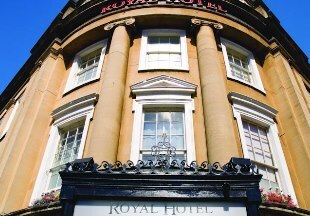 If you want to widen your search, why not browse through our selection of hotels and inns in Devon, Dorset and inns in Wiltshire.